Expect insurance carriers to make a significant investment in new technologies to pay off their technical debt and eliminate outdated legacy systems in the near future. Here’s a scary thought: Many insurance companies are still using technology created decades ago — and for critical functions. Carriers are able to get necessary work accomplished, but are well behind other industries in terms of providing the level of service that customers increasingly demand in 2015. Information Technology (IT) leaders sometimes use the term “technical debt” to describe the underinvestment in the industry’s systems. It speaks to the work needed — and/or price to be paid — to bring poor or outdated system design or software architecture to the point where it is modern and effective. Just like credit card debt, if you don’t repay technical debt, it will keep punishing you by “accumulating interest,” which makes your efforts to update the technology that much more challenging. You may have experienced technical debt on a smaller scale if you’ve used an older version of Internet Explorer. You’re trying to do work online and are confronted with a pop-up window that basically says, “You’re using an outdated browser. Upgrade or you won’t accomplish much here.” Suddenly, your ability to do basic operations is restricted because the version of the software or the type of technology you’re using is outdated. You’re limited in terms of what you can do on the website. That’s really no different than some of the infrastructure our industry built 20 to 30 years ago to support business processes. It is difficult and costly to maintain, and it may not have the architecture suitable for online functionality or the new capabilities, features and functions being demanded in today’s marketplace. Attempting to replace this technology overnight would be cost- and business-disruption prohibitive, so the industry’s approach has been to chip away at the problem to achieve process improvements and determine where functions can be taken out of the outdated systems and managed elsewhere on a case-by-case basis. Over time, this approach leads to a smaller and smaller core in these old systems and, at some point, developing a “sunset” strategy becomes a lot easier. Replacing critical systems with newer, better technology might include consolidating functions to eliminate the need for multiple billing systems across an organization, thereby reducing cost and improving efficiency. The real challenge is to ensure that this development is done in a way that’s cost-effective and adds value, rather than just keeping an old system running. One area where technology is adding value to the industry is in the underwriting process for individual disability income (IDI) insurance. Underwriting IDI has never been easy, but the pressure in today’s highly competitive marketplace to be faster and more transparent is greater than ever. There’s no clear-cut formula to follow for determining when someone might become disabled. Every case is a little different and needs to be assessed on its own merits. The underwriter faces a number of challenges in evaluating risk, including a rapidly increasing amount and variety of data for analyzing and evaluating exposures. Too often, underwriters are asked to re-enter data to and from multiple, outdated systems. In recent years, the industry has been moving to address these challenges with a more data-centric underwriting model. The ability to automatically request and receive data from medical vendors paves the way for using that data against company-specific underwriting rules, enabling consistency and the ability to report on and analyze it. Although technology won’t replace the underwriter anytime soon, especially in the complex world of IDI, the trend to automate parts of the process offers the promise of major improvements in terms of better information and greater efficiency by reducing rework, improving accuracy and speeding delivery. Track all activities and decisions automatically, with correspondence, documentation and required contractual forms launched automatically for review. New software also offers rules-based processing, which reduces or (in most cases) eliminates the risk of errors. It also supports multi-location work environments (important for talent retention, recruitment, and disaster recovery support). It integrates with internal and external systems, which enables the receipt and use of data-automated processing and supports analytics and decision-making. Perhaps best of all, it presents information in a consistent and logical format and provides reminders and alerts to underwriters. New technology is also transforming staff management and training. Old workflows and systems required dozens of checklists, large procedure manuals, and the need to learn codes for different legacy systems. Bringing new staff to a point where they were fully functional could take up to a year. With new software, the same training may take a few months, as an intuitive system guides their decisions as opposed to understanding and memorizing processes and procedures. If your department experiences regular turnover, this is an important productivity benefit. 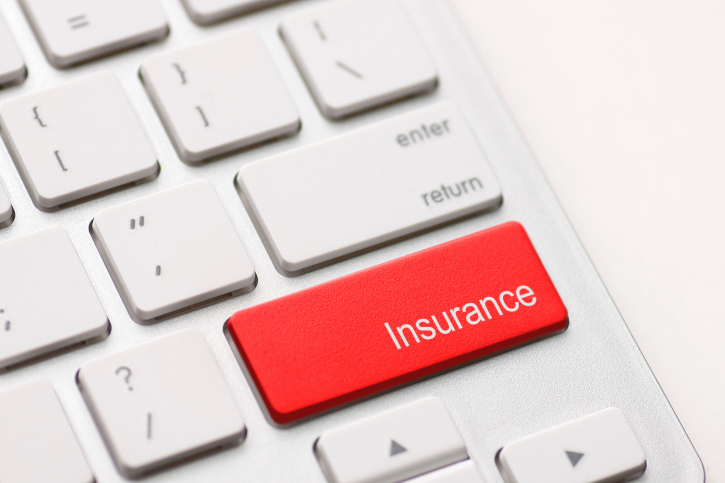 Underwriting software also improves relationships with insurance agents, who benefit from faster processing times. The new technology enhances field partners’ ability to answer questions, provide information and attach required documents, thereby eliminating transportation costs and delays that have impacted efficiencies in the past. That translates to transparency into the status of underwriting, faster turnaround times due to the automation of tasks, and enhanced communication capabilities. Updating system architecture becomes increasingly critical as the industry looks to provide more and more services online. Some of today’s consumers refuse to do business with a company if it doesn’t provide an opportunity to open an account or transact business online. A particular challenge for the insurance industry is ensuring that carriers don’t usurp the traditional responsibilities of the agent, who provides a critical role for both the company and the insured. What are the appropriate business functions that carriers can provide directly to the customer without making the agent feel compromised? There are important steps that agents feel are part of their client relationship and will want to continue to conduct on their own. Banking and other financial services may not experience this particular challenge because of the level of relationship and trust required within the insurance industry. You may pay your auto insurance annually with little thought, but if you’re signing up for a life or disability insurance policy, you want to ensure that the carrier will be there for you and your loved ones 20 or 30 years from now. As the insurance industry sets its goals for 2020, it is clear that technology will play a major role. New technology will allow carriers to protect the privacy of their customers’ most sensitive information. It will allow them to streamline underwriting and other internal processes, improving cycle times, reducing errors, and reducing the time needed to bring new employees up to speed. It will also enable the industry to enhance the level of transactions offered online, increasingly empowering customers to do business how, when and where they prefer. Expect insurance carriers to make a significant investment in new technologies to pay off their technical debt and eliminate outdated legacy systems in the near future.